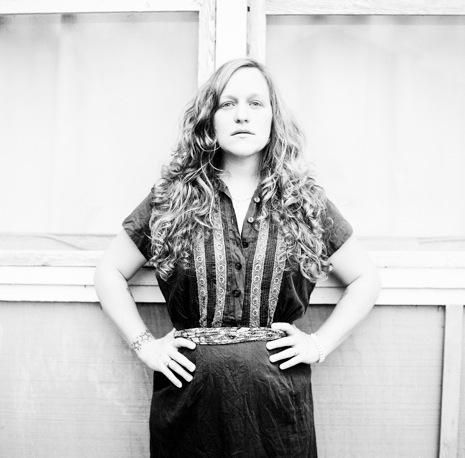 As the second daughter of a country music historian and a Jewish poet, Americana musician and songwriter Raina Rose revels in sharing with you her beautifully twisted, yet refreshingly optimistic perspective on the world. Her unique voice and exceptional guitar playing transcend age, gender, generation, and even catch the ears of those who aren't typically into acoustic guitar-driven songwriting. With a naturalist's eye, an artist's pen, and a lion's attack, Raina lays everything she has on the line; she makes you feel as if she's your best friend whispering a honeysuckle-sweet secret in your ear, warmly inviting you into a joyfully intimate and darkly candid conversation. It's that ability to forge her own path in the world of music that sets Raina apart from her contemporaries, and her “no holds barred, lay it on the line” brand of Americana that secures Raina’s place in music history as more than a mere footnote or a passing trend. Constant Clip Records artist Hunter Paye has split his time over the past number of years between Portland, OR, Austin, TX, and the woods of Vermont; and you can feel all three in his writing. “His songwriting is detailed and clever…the guy can sing, and clearly takes an incredible amount of joy in doing so. It’s music that comes from a pure place…”(Casey Jarman Willamette Week). It is this passion that Hunter brings to his song craft and performance that have brought him a loyal fan base. Amidst this fan base are many of the nations top folk musicians who herald Paye as one of the Songwriter’s Songwriters. Raised in New England, Hunter discovered music late in life- in college- and after spending the necessary years hidden away in a bedroom putting his book of poems to his newfound love of guitar, he moved from Vermont to Southern California and quickly went on to open for acts like ‘Train’, Ronnie Montrose (Herbie Hancock, Van Morrison), and ‘Michelle Shocked’. He carved out his songs by living a life less ordinary- things like traveling throughout Southeast Asia for 3 months or living on a boat for a few months; But he would carved out his sound by touring thousands of miles every year, performing everywhere from house concerts and gallery’s to bars and Amphitheatres. This prolific writer has released four studio albums (also under the names ‘Folkrum’ and ‘Sudden Anthem’), and is usually sitting on a few albums worth of unreleased material. His last album ‘All The Walls Are Windows’ album features members of Y La Bamba, The Portland Cello Project, Run on Sentence, and many other Northwest favorites.